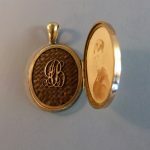 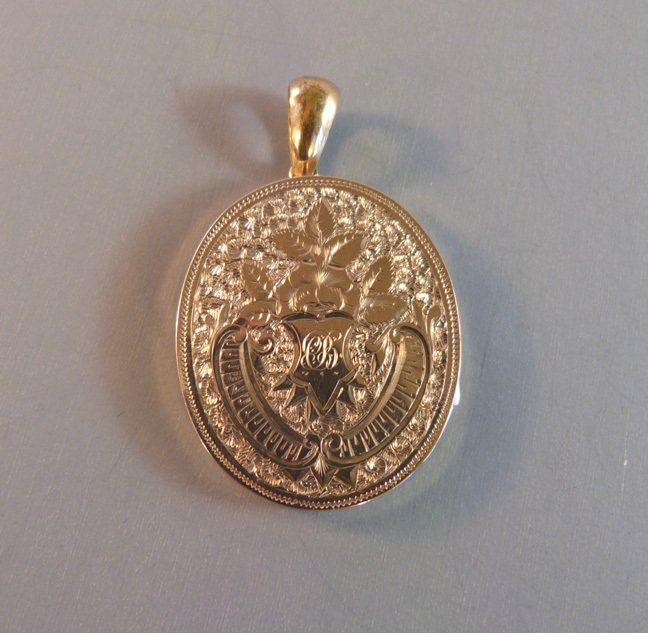 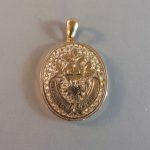 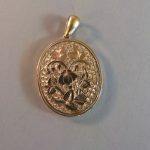 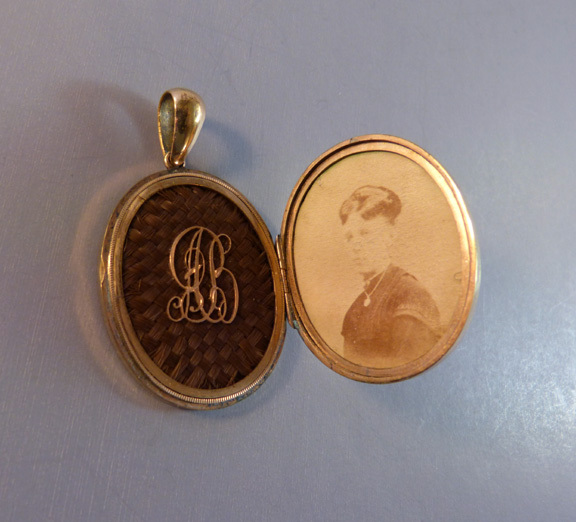 VICTORIAN antique 9ct yellow gold locket with initials and braided hair inside along with a photograph of a lady wearing a locket, initials "CB" on the front and "AB" inside, intricately engraved flowers and leaves on both sides, 1-1/2" by 1-1/4" with a 1/2" loop for a chain. 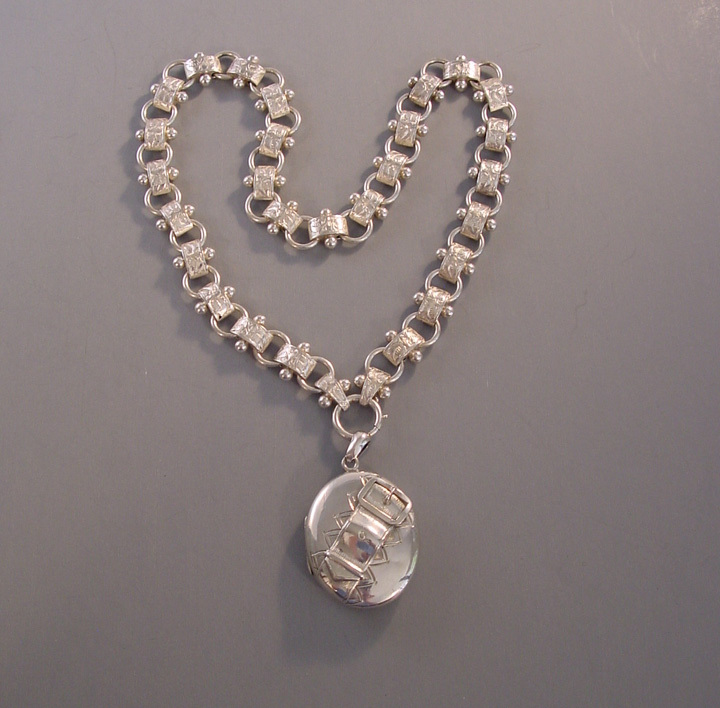 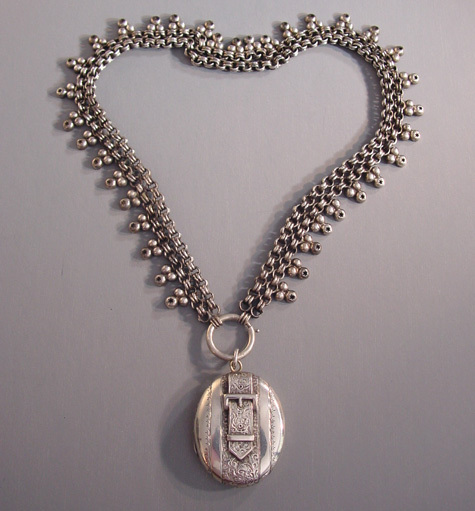 The lady in the photo looks like she is wearing this same locket. 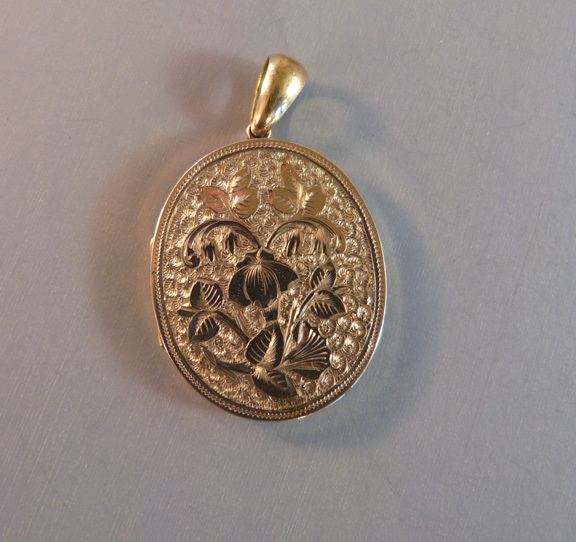 This is just wonderful and in excellent vintage condition.